There are some famous actors who have made a career out of a nose most of us wouldn’t want to take out in public. If you’re old enough, you may remember Jimmy Durante or Karl Malden, both famous for their huge, bulbous noses. If you’re younger, Google those names and check out those noses! The rest of us can’t take advantage of a nose we hate. Maybe it’s too big, too long, too curved, features overly large nostrils, has a bump on the crown, or has other issues. And we see it every morning in the mirror. You don’t have to settle for a nose you don’t like. Dr. Beaty can use nose surgery to give you a nose you’re happy to see first thing every morning! Rhinoplasty, the clinical term for nose surgery, removes, rearranges, or reshapes the bone or cartilage of the nose to correct deformities. 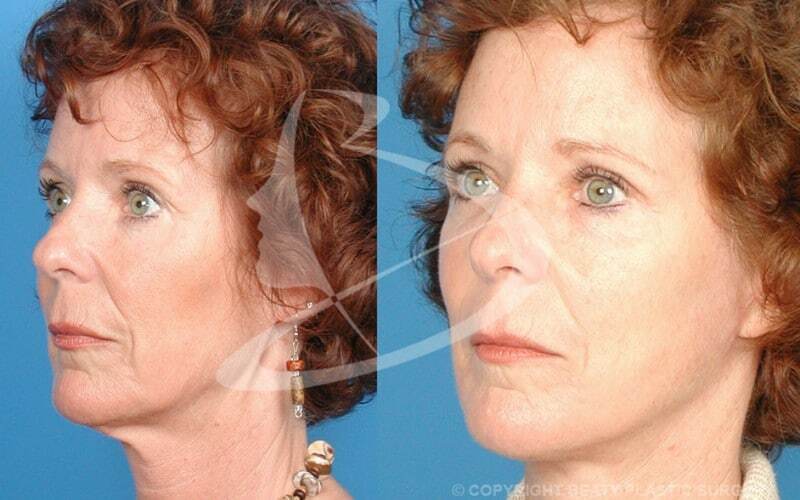 As one of the main focal points of the face, the nose has a significant impact on how people see themselves. In the 2015 plastic surgery statistics, half a million Americans opted to have rhinoplasty to change their nose. That’s a lot of people who decided to get a nose they like. How Will My New Nose Look? During your consultation with Dr. Beaty, you will discuss how you want to change your nose. We use digital photos and computer imaging to allow you to see what those changes will look like. The extent of the changes you seek will dictate the appropriate surgical method Dr. Beaty will use. Dr. Beaty uses general anesthesia for rhinoplasty. In cases where larger structural changes are the goal, he’ll use the “open” approach. This is the method where the incisions are created across the tissue between the patient’s nostrils. The skin covering the underlying bone and cartilage will be separated, allowing the cartilage and bone to be reshaped. Once this has been done, the skin is then re-draped over the surface. Flared nostrils can be narrowed by creating an incision at the junction between the nose and the skin of the upper lip. The “closed” method, where all incisions are made inside the nose itself, is used whenever possible, but the amount of possible change is more limited. After surgery, a lightweight splint is used to maintain the shape of the nose. This splint is removed within a week following surgery. During surgery, nasal splints may be inserted to protect the septum. These splints are also removed within a week. Stuffiness is expected after surgery, especially when changes have been made to the septum. Recovery usually takes one to two weeks, but some residual swelling can continue for a few weeks. This is particularly the case later in the day. If you don’t like the nose you see every morning in the mirror, let Dr. Beaty change it with rhinoplasty. Call us at 770-727-1824 to set up your consultation.